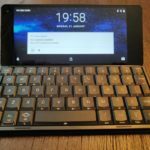 Planet Computer’s Gemini is a rebirth of the PDA form factor. And it works! 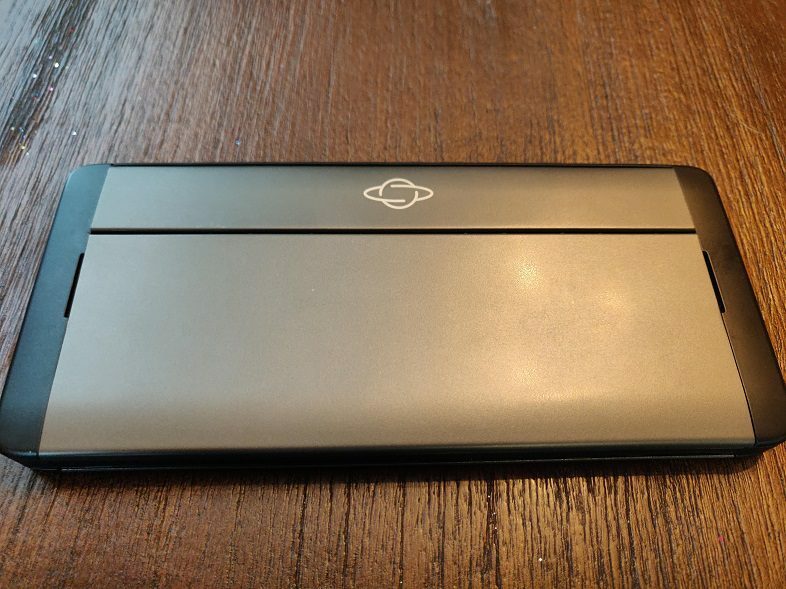 Overall the Gemini is fun to use as portable computer, but it needs a version 2.0 before it can be truly considered as a long-term solution to most portable computing needs. It’s not yet ready to replace your phone or laptop, particularly at a $599 price point. I can’t get over the inspired build of the Gemini. From the moment I popped open the box, I felt like Planet Computers’ put a lot of love behind this device. If you’ve followed their IndieGogo campaign you’ll know it’s one of the most successful crowd-funded campaigns ever. And, moreover, Planet Computers have been very communicative about the development and distribution of the Gemini. All of this matters when you hold and use the Gemini because you have to keep in mind that, in my opinion, if Planet Computers were to have cut corners and went with a plastic, creaky chassis they could have had a higher margin. 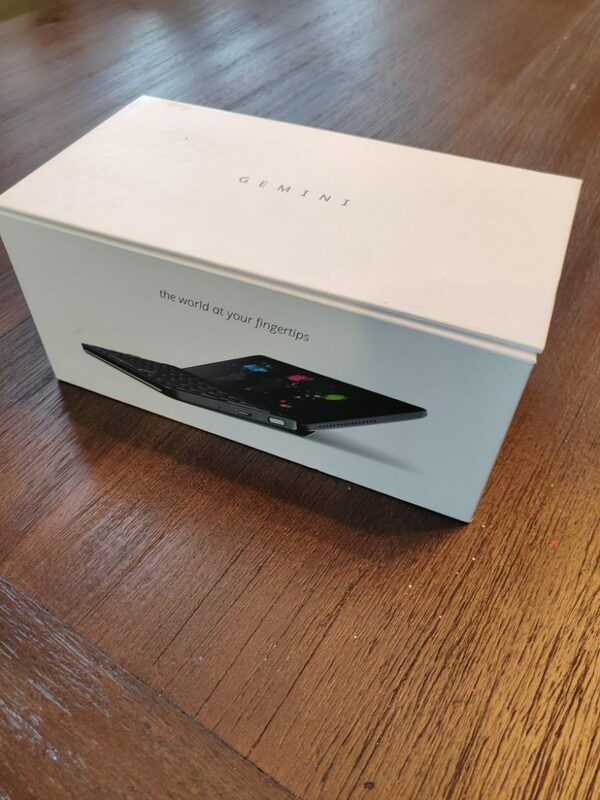 And just like the folks at Planet Computers, consumers who understand the purpose of the Gemini will also love the Gemini. So what is there to love? 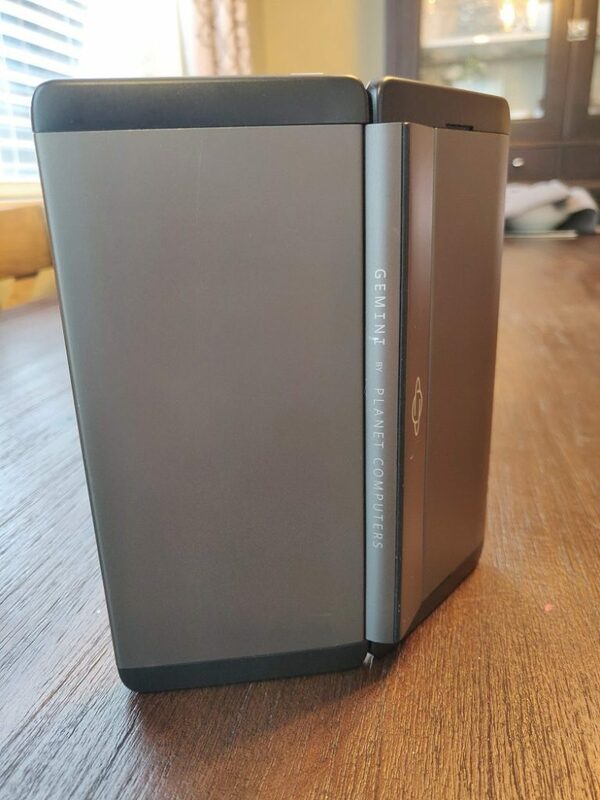 The most appropriate use case for the Gemini is that of a consumer that works on the road and does a more than average, but not excessive, amount of typing of emails, text messages and other forms of communication (Skype, Slack, Discord, etc.). If you write books, as I have, you’ll need a larger keyboard. If you manage multiple or dense spreadsheets, you’ll need a larger screen. 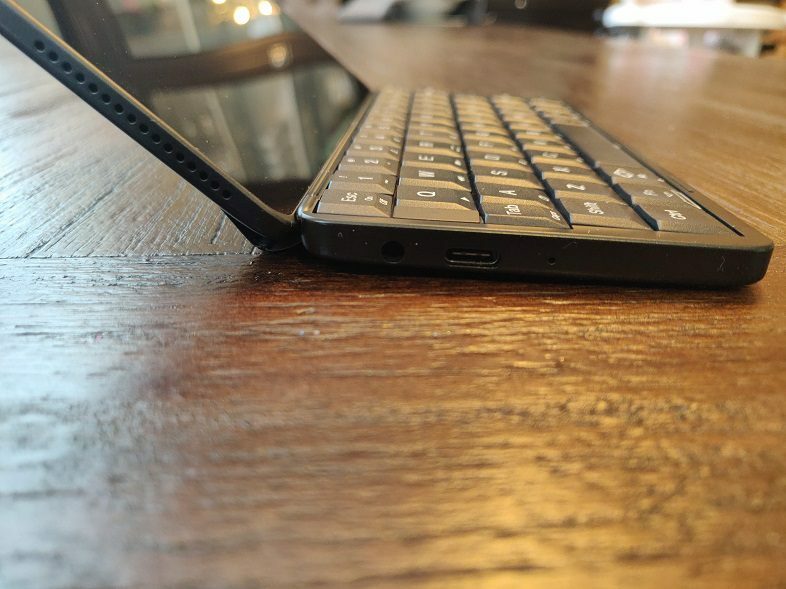 If you send 10 emails a day, you’ll think the Gemini is too cumbersome. 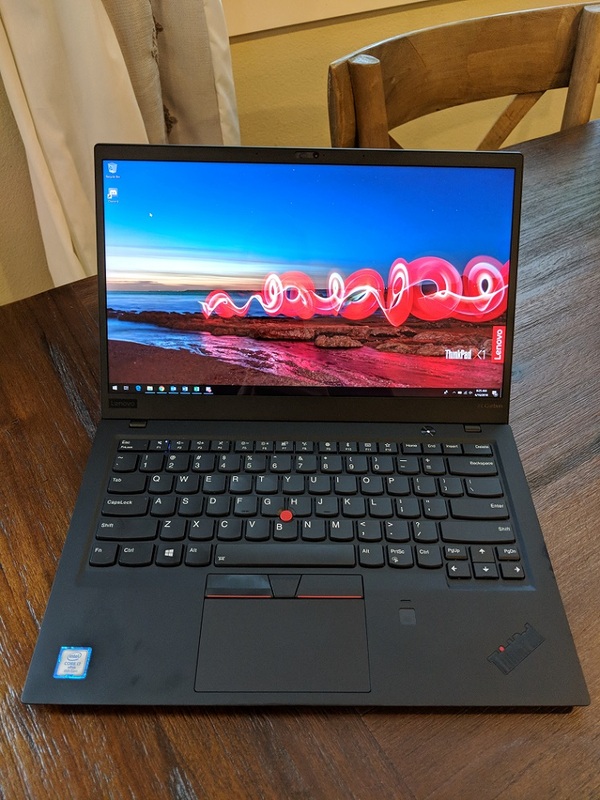 But if you want to travel lightly and every hour or so you find yourself in a scenario that would require an ultrabook, you’d whip out your Gemini and love it. 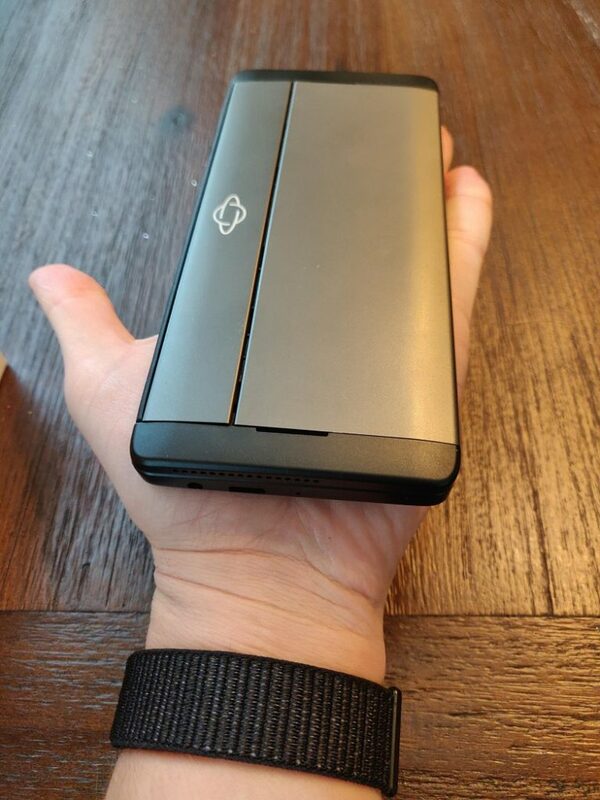 Weighing in at around 320g, the Gemini is lightweight and slips right into your pocket. 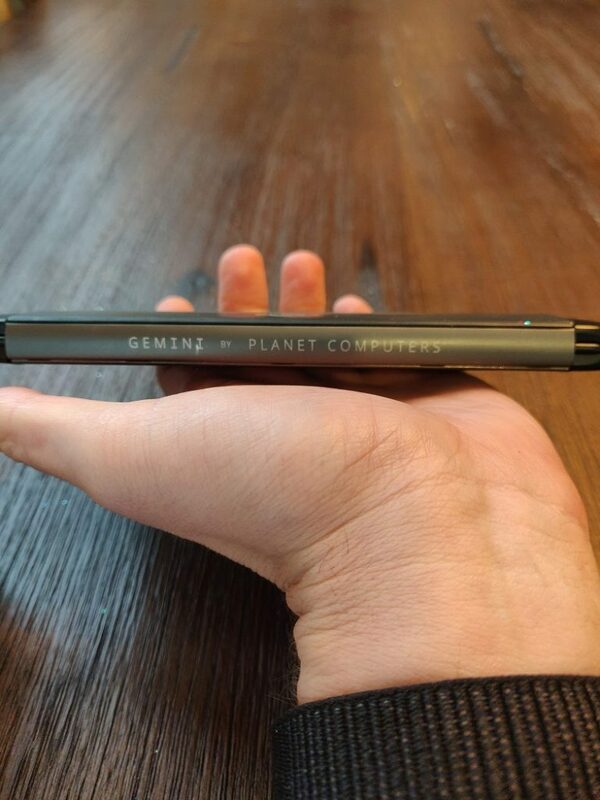 When in meetings with the Gemini, it didn’t feel awkward to whip it out and take a quick note. It did prompt attention from two people, which was cool. The last time an acquaintance asked me about my tech during a meeting was when the original iPad was launched. 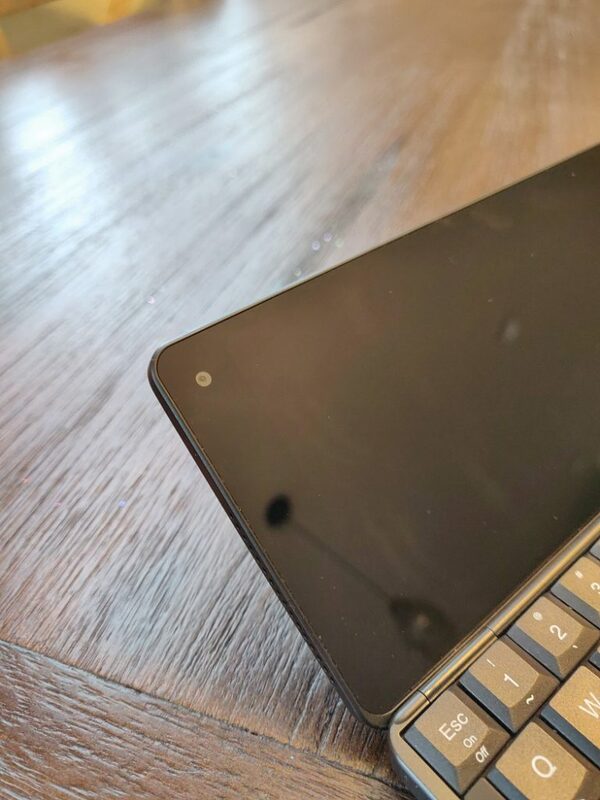 While in coffee shops, I really enjoyed browsing the Internet on the Gemini and also having my phone around if I needed to attend a conference call or send a text. So, yes, I didn’t use the Gemini as a phone itself. Instead it was my Android-based PDA. Yet, carrying both was not uncomfortable but it certainly wasn’t ideal. It helps that the display is 6″ and a solid 1080p (403 ppi). The speakers are a bit tinny but louder than I expected. That made listening to a podcast over coffee at home in the morning pretty great! Instead of a laptop occupying considerably more space in front of me, I have the sturdy Gemini. It’s enough screen real estate to enjoy the news or watch a YouTube video. To understand the performance and processing power is a completely different animal than a laptop. It runs like a smartphone. Meaning it’s plenty responsive to your email, web browsing, and word processing needs. 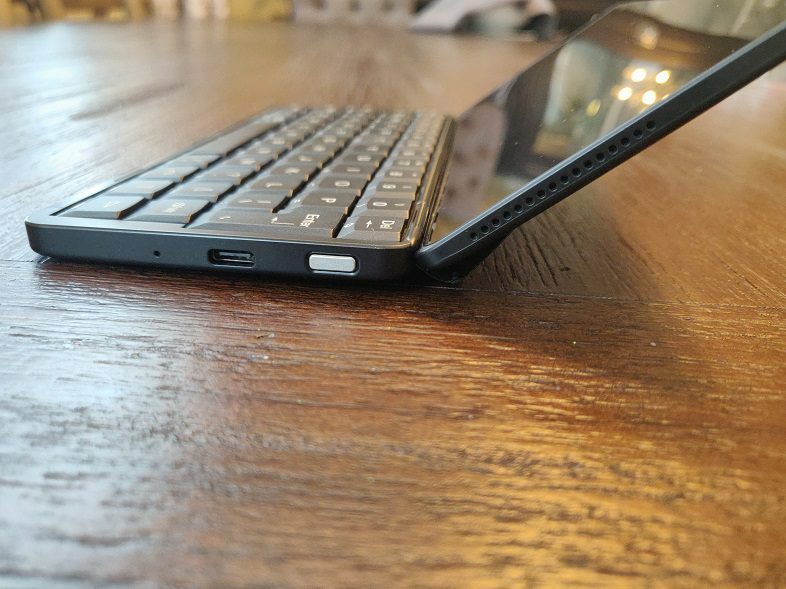 Yes, you can play games on the Gemini, but the orientation of the keyboard makes that challenging. With regard to specifications, the CPU is a Deca Core ARM Mali running at 875 MHz. 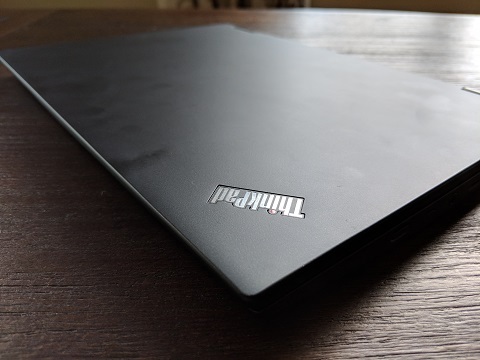 It has 4GB of RAM and 64 GB of storage (expandable via MicroSD). 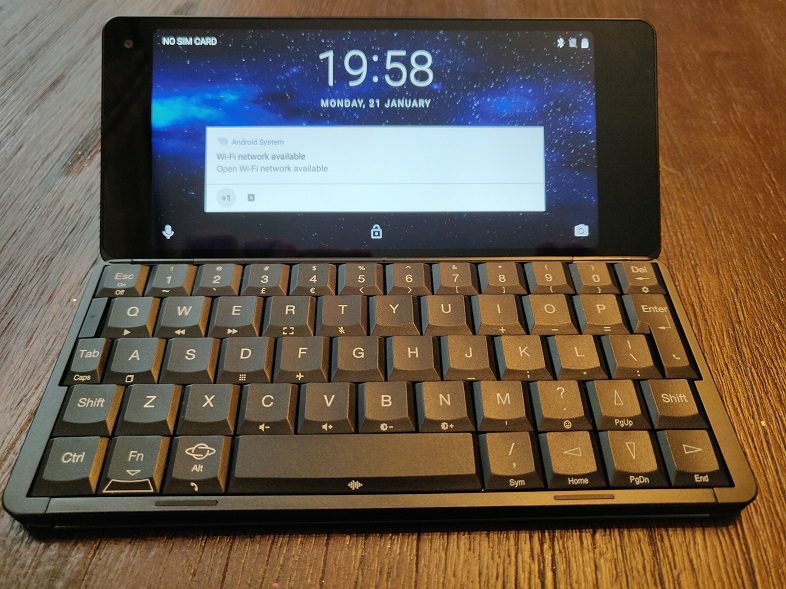 To understand the performance of the Gemini without every using one – just imagine a mid-level smartphone with a physical keyboard. That’s about it – and that’s solid. The Gemini isn’t quite there yet. 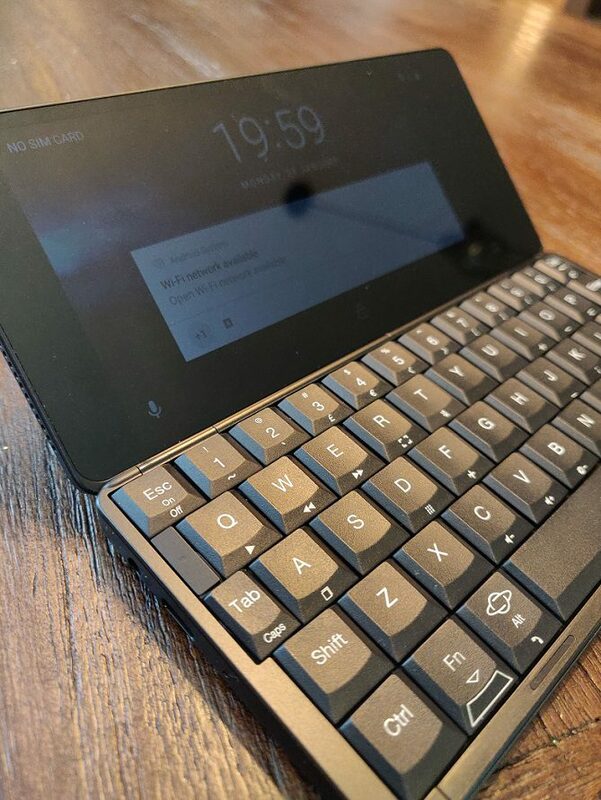 The keyboard is too tight for touch typing, the bezels around the display are very large, and the touchscreen isn’t as useful since the keyboard cannot fold around or detach. So, for the next iteration of the Gemini, I’d like to see these addressed. Additionally, the addition of a stylus would be outstanding. 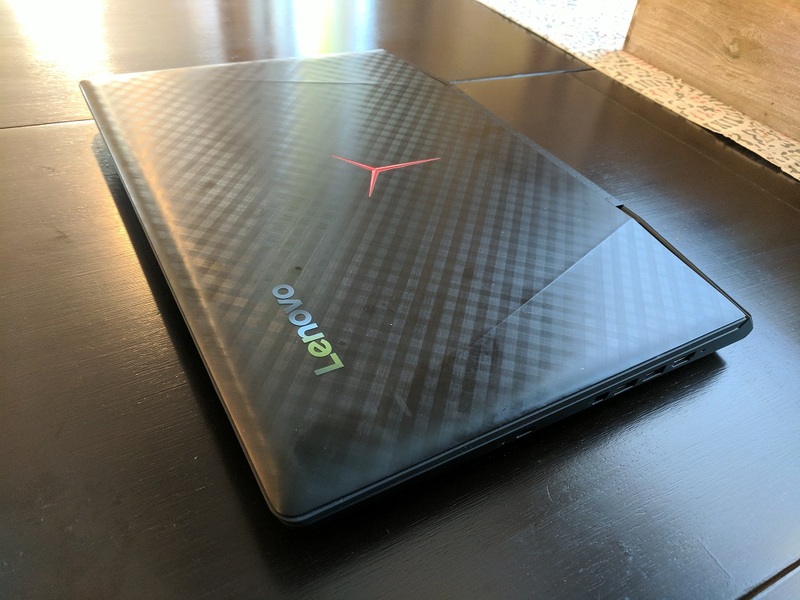 It would help with navigating spreadsheets as well as add a creative element to the list of content that can be created using the Gemini. What stands out to me the most is the implementation of the attached keyboard. The Gemini is a beta, in my opinion, of the end product Planet Computers and their supports are capable of creating. Meaning the upcoming Gemini squeal – the Cosmo Communicator – is likely going to be fantastic. The Gemini isn’t ready for prime time quite yet. But anyone that loves these types of devices from the late 90’s will go nuts for it.